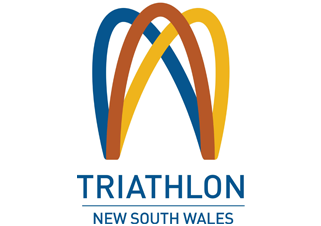 All club members also now need to be members of TriNSW / Triathlon Australia. Club membership is now via the Triathlon Australia website. If you are not intending to train or compete in Triathlons, there is the option for a non-competing Club Membership. If you choose this option though, you are not covered by any insurance while training. Jervis Bay Triathlon Club membership is $20 for competing adults; $40 for families; $15 for non-competing adults and free for Juniors. Spring into the season with new fitness goals! Stay motivated within the Triathlon NSW community and start tri-ing! Joining a triathlon club is the perfect way to the start line and to stay motivated within a safe and friendly community. Encourage your friends to tri! Be inspired, watch and share this video and we look forward to seeing you on the start line soon! Hosted by ITBasecamp as a ‘Supporting the Community’ project. Jervis Bay Triathlon Club and Triathlon Australia is offering an 8-Week Tri Before You Buy package. The Tri Before You Buy package includes a $20 Triathlon Australia + $5 Club fee. Benefits of Jervis Bay Triathlon Club include reduced fees for swim squad, member discounts at Ultimate Cycles, Nowra. Public liability and personal accident insurance cover while you are training for sanctioned events for the duration of your membership. Jervis Bay Triathlon Club membership is $20 for competing adults; $15 for non-competing adults and free for Juniors.